JAGMO (JApan Game Music Orchestra), a group dedicated to game music, announced it will hold a full orchestra concert for Touhou Project at Tokyo Opera City on May 3, 2016. The Touhou fandom has produced a few classical-style concerts of its own, but having Touhou music played by a full orchestra is a first. Consider adding it to your schedule, if you plan to visit this year's Reitaisai. That would be a reference to Youmu, right? Half-fantasy, half-reality, altogether half-baked. Another fantastic artistic victory for the worlds greatest fandom! The setlist is pretty much a reprise of the first, although they added Reisen's & Youmu's themes in the first part. I got an SS ticket this time around so at least I'll have a better view, even if I will be lonely. Oh wait, are you attending, Forza? Do you think I can ask you to buy one CD for me? It should be available on the event. I've been meaning to use this thread for other Japan-only events with some significance. Anyway, in today's (Oct 31) Nikenme Radio stream, this year's live talk show with ZUN was announced, titled "Nikenme Radio VR" this year (the previous ones were called "Nikenme Radio 3D"). Another announcement: a surprising Touhou collaboration with Yoshiro Kimura's mobile F2P puzzle/RPG, "Brave Yamada" (Yuusha Yamada-kun). If you've been following Kimura-related news, you should know that the game is about a middle-aged game developer using his spare time to make his own indie game. In a sense, you can't find a more perfect collaboration than this! ZUN also reminded us today is the release date of the artbook by long-time official Touhou artist, Asai Genji. Nikenme Radio VR is scheduled for December 23. Tickets are apparently on sale as of a few minutes ago, which means they're probably all gone lol. Famitsu has published an announcement of the Brave Yamada collaboration. During the period from Nov 11 to Dec 12, 2016, a collaboration dungeon will appear in the game, called 弾幕輝珍城 "Castle of Shining Danmaku Treasure", replacing the TH14 main title's "needle" with "treasure". The article says "perhaps" ZUN himself will appear in Yamada's apartment. Of course this isn't his first cameo appearance in a game - that would be Touhou Unreal Majong. But that was just a little in-joke, while this is him trying to help a friend's game, so maybe we can get some new ZUN-quotes he has to say about game development? EDIT: I was way too excited and hasty on bringing the news that I didn't know it was posted long before. I see a total of five ZUN's assets in the screenshots: Fairy, Sunflower Fairy, Curse Decoy Doll, autumn leaf from MoF onwards, and finally the Miracle Mallet. Nah, I actually double-checked. These sprites are newly drawn. In fact they look worse than ZUN's own. Like you said, it's nice that the collaboration is about ZUN and Touhou itself though, not Touhou as a character franchise. A topic brought up in this August's NicoNico stream (the one where they announced those ULiL controllers) was the NicoNico Creator Incentive Program. Some background is necessary. Launched in Dec 12, 2011, NicoNico Creator Incentive Program is one of NicoNico's methods for user monetization. For a work (video, stream, artwork, 3D model, or NicoNico Commons content) registered in the program, the system will calculate a score based on its popularity (no. of views/downloads, etc. ), and hand out a monetary reward to its creator if it's popular enough. Back when the program first came out, ZUN had been asked about how it works with Touhou fan creations. He said fans are allowed to opt in the program for the reward, but NicoNico's license to utilize these works naturally does not override the copyright owners', i.e. NicoNico can't use its uploaded Touhou fan works for commercial purposes without his permission (which is common sense). Since the system was developed for image, audio and video files, it has no direct support for games and software tools as a content type. NicoNico suggests a simple workaround for developers to partake in the program: upload a "parent video" (e.g. a tutorial) that fan creators can link to. For example, you can see on the NicoNico help page that Ubisoft has made "parent videos" for Far Cry Primal and Trackmania Turbo. So for Touhou, what ZUN has now done is putting up the Q&A segment of August's stream that explains this topic as the parent video for Team Shanghai Alice. From now on, any fan creators on NicoNico have the opportunity to be charitable towards ZUN by linking their content to the video. Needless to say, he is not Nintendo, and this is voluntary. 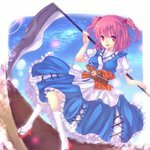 For those who might be interested in the rest of the Yamada-kun x Touhou Project countdown. 1. ZUN proposed the DDC theme of the dungeon. 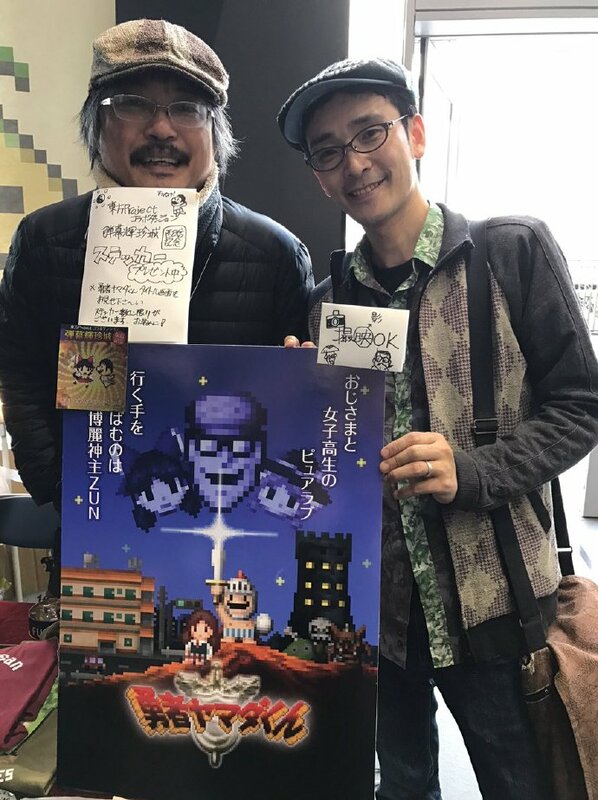 Everything ZUN wrote for the event fits into the Brave Yamada world, and everything Kimura wrote had been edited by ZUN. He also supervised the making of all other details. 2. Difficulty-wise, the easy version of the dungeon should be comparable to the middle section of the game, while the hardest version is comparable to the end of the story. Is it me or does that guy who jumps when he gets hit by danmaku resemble mario? Should have posted about it earlier. Yesterday (Nov 22) was the date for the wedding banquet of our old friends, the Touhou musicians Beat Mario and Amane, a.k.a. COOL&CREATE. The archived stream of the banquet should be permanently available here for premium NicoNico users. I'll just post some random twitter pictures. Buta Otome's Comp (polar bear) and Paprika (cat) with the bride and groom. The bride and groom lighting candles. In addition to attending the banquet with other Touhou associates, ZUN also recorded a video message. 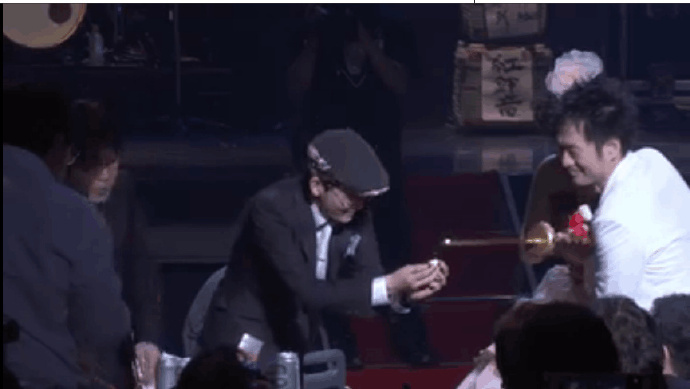 Some NicoNico commenter: "It's just like he is [congratulating them as] their boss!" What happened to ZUN's cask of sake (used as gifts for felicitation on very special occasions). My favorite moment has to be when Beat Mario's mom come into the stage and sing his song with him. Beautiful. I have NicoPrem so going to watch it at home tonight. Curious about the whole ceremony and such. 19:00 Dec 11 JST: a year-end party to commemorate the release of ULiL PS4 and the birth of ZUN's daughter. CROW'SCLAW, Buta Otome, Sekken'ya, and COOL&CREATE will perform.